This oil must be a wonder oil with an exotic perfume. You can use it on many ways: as a hair mask or serum, in bath, as oil, to get a longer tan,… Yes, you read this correctly this is a multifunction product! I didn’t try this out as a hair mask but as a serum. And you just need a bit to let your hair steal the show. But I mostly use this lovely oil for my skin. Let’s start with the smell from this, mmm it’s really a paradise smell! This oil smells heavenly good! Of course is a smell something personal but I’m sure that this will directly give you a summer feeling! Applying this oil is not that pleasant. As you can see at the photo above comes the oil out of a big opening. And through this it’s hard to dose this oil, so you must be careful! Because before you know you are taking too much oil or you spill some… But if you are careful and you dose it right then it’s easy to rub this oil into your skin. The oil feels good and don’t leave a greasy film. But it does let your skin feel soft and let it shiny beautifully. The smell and the pretty shiny from this oil stay subtle the whole day. Yes, this oil from yves rocher is a wonder oil! It smells so good, the oil feels good, it makes my skin soft and let it beautifully shine. And… This is a multifunctional product! I use it to treat my skin but you can also use it in your bath, for your hair,… And Yves Rocher also says that this oil must let your tanned color stay longer. So in the summer I will use this oil of course for my tan and let’s hope that it works! As you can read does this oil only has benefits. But there is also one disadvantage… Yes, it’s not easy to dose this oil because for the big opening from the bottle. So be careful! 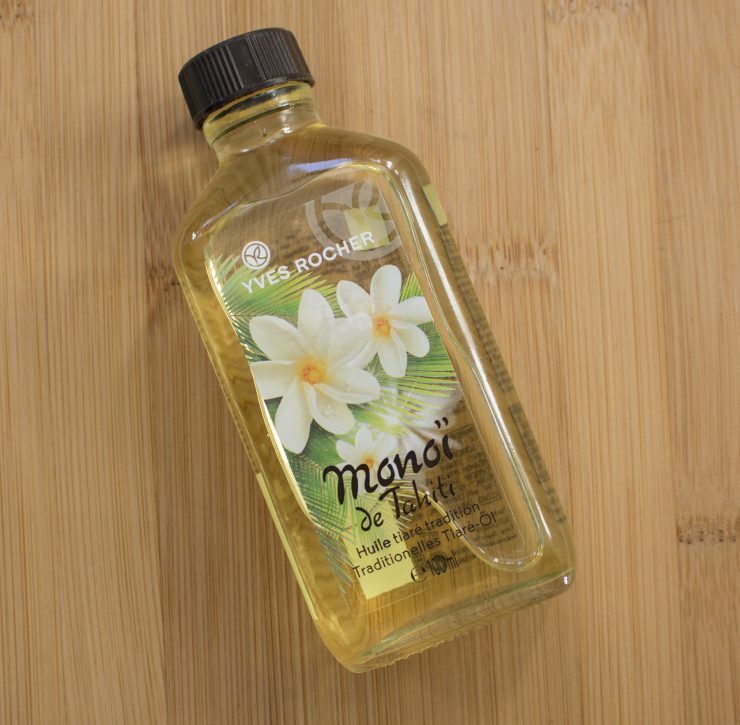 This lovely wonder oil from Yves Rocher, monoï de tahiti oil cost €12,90 for 100ml. Ik vind deze geur super, je hebt deze ook in Douche gel. Oh, klinkt echt heel goed! <3 Lijkt me een heel fijne olie.